The very lovely and charming Karen Finney is a political commentator. At present, she is associated with MSNBC channel. She hosts Disrupt with Karen Finney for the network. Prior to assuming this role, she was also a former independent consultant who worked with political and corporate clients in the fields of political and communication strategy. She has the twenty years of experience in national politics and campaigns. Karen Finney recently served as Senior Advisor for Communications and Political Outreach and Senior Spokesperson for Hillary Clinton’s presidential campaign. She was the first and only African American spokeswoman of the Democratic National Committee (DNC). She has also worked to improve public education through her work with the New York City Board of Education and Scholastic, Inc. Recently, Political Communications interviewed with Karen Finney. Karen was born on 15th August 1967 in New York. She was born to an African-American father who worked as a civil rights lawyer, and a white mother who worked as a labor negotiator. She was raised in the United States. She belongs to American nationality and African American mixed ethnicity. As a child, she moved to California with her mother and went on to attend UCLA. Her rich background in education policy and politics, her impressive experiences, her associations in the past and all of her versatility has landed her at MSNBC’s weekend program. She’s got a great personality too. She can definitely bind the viewers to the television screen. Her confidence and her persona shine through while on air. She stands tall at five feet and certain inches. She understands the requirement and the responsibility to look presentable on screen and during her political excursions. She never overlooks her appearances no matter what. She is dressed elegantly suitable for occasions. She wears outfits that bring out the best in her, her curves and her beautiful long legs. She has a tall height of 5 feet 9 inch and has a balanced weight of 57 Kg. Her hair color is Black and eye color is Brown. Karen Finney was the first African American spokesperson for Democratic National Committee. She worked there for four years. During her tenure at DNC, she led the party’s media strategy during the 2006 midterm elections and the 2008 presidential elections. Prior to assuming her responsibilities at DNC, she worked as a Deputy Press Secretary for Hillary Clinton during 1990s. Besides, she also had the opportunity to work as Deputy Director of Presidential Scheduling for President Bill Clinton. Karen basically has more than twenty years of working with political and corporate clients in the United States and Globally in the areas of political and communications strategy, message development, crisis communications, branding, and public affairs. Besides all of the hassles, she has also worked to improve education both in public and private sectors. Karen is not married yet. She hardly speaks about her personal affairs. So, many personal details associated with her life are unknown. But the probability could be that she has not yet found the man for herself. Karen Finney has not married anyone and does not have a husband, therefore. She is all single. Her work keeps her all busy and she has no time to think of relationship and all. Since she has not tied knot with any person; it’s more than obvious that she’s never been through divorce case either. She does not have children of her own either. 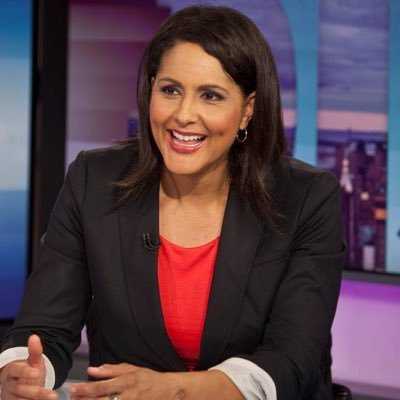 Previously, there was a rumor of her relationship with a journalist, a member of Editorial Board of the Washington Post and the contributing commentator of MSNBC, Jonathan Capehart. The rumor of her affair began as he said “My Darling wife” referring to her in a TV show called “The Last word with Lawrence O’Donnell” but eventually got cooled down after the tweet from a well known gay man stating “He is her gay Husband.” This does not claim if the rumor is shot on the target or not but she is still a single woman. Karen is definitely making a huge amount of fortune for her work. She is an asset to any organization and therefore MSNBC is taking no risk of keeping her dissatisfied regarding her salary. She is paid for her excellent work. Karen Finney's current net worth is around $2 million. She is one of the experienced journalists in America. She earns annually around $70K-$100K. She has definitely made a huge amount of wealth enough for her to live a luxurious lifestyle. Her Wikipedia does not contain much information about her life. Her viewers and admirers can get more details about her through personal sites relating her other than wiki. She is on Twitter, the most convenient way of remaining close with the fans and viewers. Her admirers can simply follow her at her twitter account and remain up close and personal with her. To add some interesting trivia about her, she is also a columnist apart from being a political commentator. She writes for The Hill. The multi-talented and ambitious woman is here to stay for longer and she has that drive to go all the way. She was also a former independent consultant who worked with political and corporate clients in the fields of political and communication strategy. She has the twenty years of experience in national politics and campaigns. She also had the opportunity to work as Deputy Director of Presidential Scheduling for President Bill Clinton.